Policy developments and partner input were discussed at the 15th annual plenary meeting of ReferNet – Cedefop’s network of institutions providing information on national vocational education and training (VET) in the EU Member States, Iceland and Norway – on 29 and 30 November in Thessaloniki. Cedefop expert Eleonora Schmid presented the ‘great work’ partners did in policy reporting in 2017. Cedefop expert Anastasia Pouliou presented the ongoing project on the future of VET, which ‘will help shape a new landscape for vocational education and training.’ Project results will be communicated at a big conference in autumn 2018. ReferNet coordinator Sylvie Bousquet and Cedefop’s Head of Library and Documentation Marc Willem presented the results of the ex-post evaluation report 2017, the main recommendations and an action plan. Participants highlighted the network’s importance in providing information and agreed that it is an effective platform for exchanging ideas. 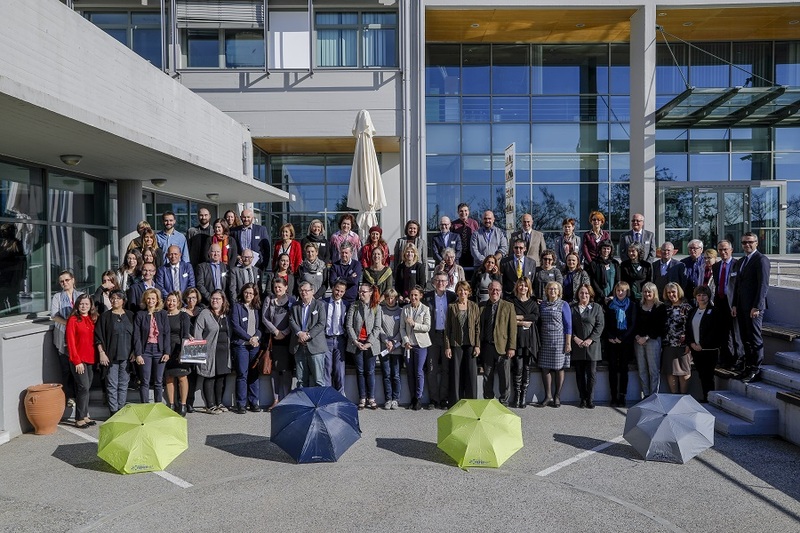 Read more about Watch Cedefop ReferNet meeting participant interviews!